Home Columns Driving Ourselves To Death! You’ve seen it, and you’ve likely even done it. They’ve drifted into your lane, driven right through red lights, blown past you in a hurry only to sit when the light turns greens because their now texting and distracted. They injure or kill thousands annually. In 2014, drivers with smart-phones had grown to 80 percent and is rising (the phone may be smart but the users aren’t). When driving, put your cell phone away. Not where you can see it light up for every notification you receive. Your cell phone should also be on silent mode. 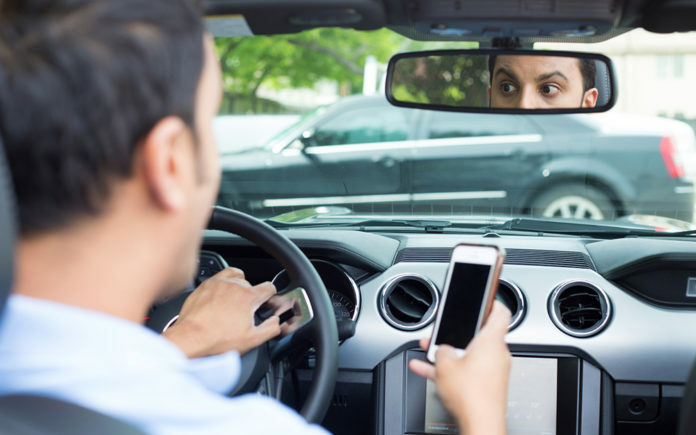 Just because your hands aren’t on your phone doesn’t mean the distraction has been eliminated. If a phone call or text message is really important, it’s best to pull over into a safe location — preferably a parking lot — before using your phone. The same holds true with eating and driving, putting on makeup or fumbling for your smokes. It’s all called “Distracted Driving” and it’s deadly! Be safe, be civil and be smart, without the phone. Without distraction!